A dispute has arisen regarding the financing of Vaðlaheiði tunnel, which, when completed, will shorten the driving distance between Akureyri and Húsavík, North Iceland. The project has far exceeded the original cost estimates. It is a private project, done by the contractor Ósafl, a subsidiary of ÍAV, and paid for by Vaðlaheiðargöng hf. Ósafl is demanding that Vaðlaheiðargöng hf. pay them large amounts of money to compensate for delays in completion of the work, Morgunblaðið reports. The Icelandic State Treasury has a large stake in the project, for in 2012, it issued a loan to Vaðlaheiðargöng hf. in the amount of ISK 8.7 billion (USD 81 million, EUR 69 million) for the project’s completion, and in the spring of last year, Alþingi, the Icelandic parliament, granted permission to the Icelandic State Treasury to issue another loan to Vaðlaheiðargöng hf. of up to ISK 4.7 billion. At that time, the understanding was that the funds would suffice to complete the project. Ósafl supports its demands for compensation for the delay by stating that its equipment has been reserved for the project a year and a half longer than it was meant to be, thereby preventing the company from taking on other projects. Representatives from Ósafl argue that the delays have cost the company billions of krónur. 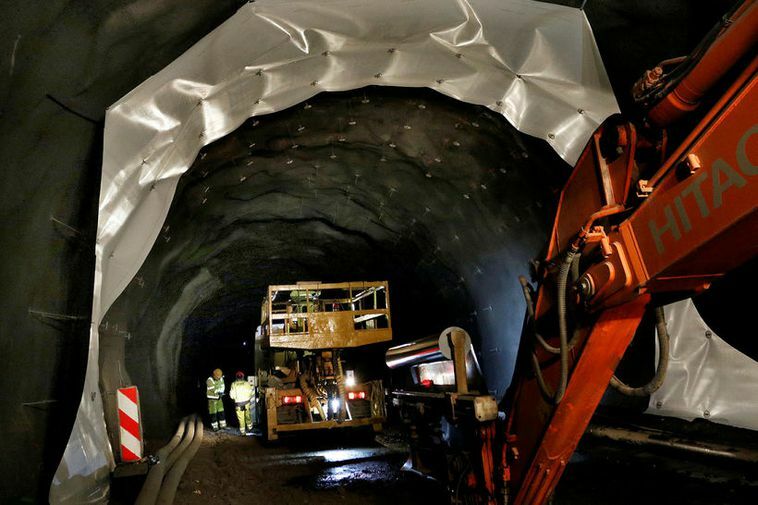 Their largest demand was made this summer, due to hot water, which has leaked into the tunnel and complicated the project considerably, causing delays. That demand alone exceeds ISK 2 billion, but altogether, the company is demanding a compensation in excess of ISK 3 billion. Vaðlaheiðargöng hf., however, is only ready to pay ISK 1 billion in compensation. Due to the dispute between the two parties, the issue was referred to a special conciliation committee, which now has come to a conclusion in the matter. It remains to be seen whether the disputing parties will agree to its ruling. If they fail to do so, the case will have to go to court. According to Morgunblaðið, the Icelandic administration has repeatedly discussed the possibility that the State be asked to issue yet another loan to Vaðlaheiðargöng hf. for the project, so that it can be completed. There is reportedly disagreement about whether such a loan should be issued. If it is not, then Vaðlaheiðargöng hf. is headed for bankruptcy, resulting in huge financial losses for both disputing parties. In that case, the State would be forced to take over the project. One of Morgunblaðið’s anonymous sources believes a third loan should have a state guarantee. Another states that the project must be allowed to face bankruptcy to prove how risky it is to create a public limited company around a project that doesn’t have a state guarantee. Otherwise, people will get the impression that the State will endlessly pour money into a project, even if there is no state guarantee.